Warding Off Thinning Hair and Baldness with… Exfoliants? One of the first visible signs of aging for men and women is the gradual thinning of hair. For men, this takes the form of the dreaded male pattern baldness. Despite the many cure-alls out on the market there is one thing that remains consistently healthy for the scalp no matter your age and gender – stimulation. Studies have shown that consistent stimulation and massage of the hair follicles will increase blood flow to the scalp. Studies also show that male pattern baldness sufferers have on average 2.6 times less blood flow in the scalp than normal individuals. While results cannot be anything but anecdotal, we have found success in using an exfoliant in the hair for warding off thin hair. The LiveStrong Foundation says to use a mix of natural oils such as Jojoba and Rosemary oil to stimulate directly into the scalp. Problem? Oils are hard to absorb directly into the skin without a carrier. This is where Dimethicone-containing products that don’t readily absorb and pure oils don’t stand a chance. Carley’s Acne Treatment contains fine walnut powder that is perfect for massaging the scalp with. An exfoliant without Benzoyl Peroxide may work just as well for those with skin sensitivities. The after body wash has a cleaning, moisturizing effect that leaves the skin healthy. What these products all contain natural oils that others tout for their magical effects on the scalp. These products are also substitutes for washes with harsh ingredients that strip the natural oils of the hair and skin and bring dryness to the scalp such as Sulfate. Gently soak your hair in the shower. Fill the palm of your hand with the exfoliant and massage gently into the skin. Massage your scalp for up about 30 seconds and while making sure to get every part of the scalp. Wash out completely using the soap or body wash. Follow the directions on lathering and washing to avoid remnants of the exfoliant that may cause staining of towels. Massage the lather into the hair to get the moisturizing effects of the soap (and to wash the exfoliant completely out). Use an anti-Dandruff product (preferably absent of harsh chemicals like Sulfate) if your scalp still produces flakes. The moisturizing effect of the soaps should help but it may take those special chemicals (like Selenium) to really get rid of flakes. 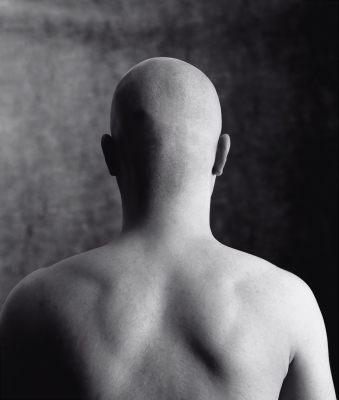 Male pattern baldness and thinning of the hair in both genders is a complex topic. What you should know is that there is little to be done to prevent some thinning and balding of the hair when genetics and hormones play so strongly a role. Rogaine and Alopecia are scientifically proven to help with holding off some balding (in men) but it’s not a cure-all and won’t work for everyone. It’s even recommended to switch on and off those routines. Consistent stimulation of the scalp is something that can be done as part of your daily routine. It not only helps with that blood flow but feels great as well!